When will an out-of-stock item come back in stock? We buy items from open marketplaces and artists across India and there are no tie-ups with any specific artist or supplier. As a result, it is very difficult to re-stock an out-of-stock item. We keep adding fresh inventory from time to time but in different categories. Once in a while an out-of-stock item comes back in stock during such updates but it really is impossible for us to provide a timeline of when any particular item will come back in stock. We suggest you sign up with us for our monthly product updates as well as for a permanent 10% discount on all purchases made as a member. Why are most items in your website showing "out-of-stock"? You are probably browsing either a "sold items" collection in our website or have included "sold items" in your search parameters because of which you are seeing too many out-of-stock items. We suggest you start browsing from our home page to see the 8000+ items we have in stock. Why am I not being able to add more than one piece of an item into my shopping cart? Most items in our inventory are available in quantity of one or two and as a result we are unable to offer multiple pieces of the same item, in most cases. You will be able to add only the quantity available with us into your shopping cart, for any particular item. Can I buy items in bulk for a special discount? Most items in our inventory are available in quantity of one or two and as a result we are unable to offer bulk quantity for any particular item. We do not have tie-ups with specific suppliers or artists which is why we cannot offer our items in bulk. 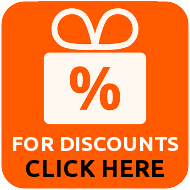 However, we do offer attractive discounts if you buy multiple items in one order. If you buy four or more items (of different kinds) in an order, you get a straight 10% discount on the total price of items. If you wish to buy ten or more items in one order, please contact us by clicking here.